A top Trump administration official touted record sales for oil and gas leases under the U.S. Bureau of Land Management on Wednesday as he sought to promote energy development on public lands. 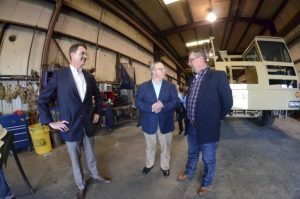 Bernhardt’s announcement came the same day he toured an oilfield equipment manufacturing plant in Hobbs, a city of about 40,000 people near the Texas line. Bernhardt attributed the revenue boost to Trump-era policy changes that aim to open up more federal land to drilling and other energy development. Democrats contend Bernhardt — who is a Washington veteran with lobbying ties to U.S. energy companies — is vulnerable to conflicts of interest as head of the department. Environmental groups have accused him of making regulatory decisions on the country’s natural resources to benefit industries. The Hobbs News-Sun reported that Bernhardt briefly toured a plant owned by rig manufacturer Watson Hopper and told employees there that Trump had asked him to visit the region a day after his State of the Union Address in Washington. 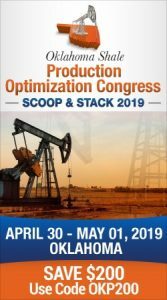 The New Mexico city is a part of the Permian Basin, an oil-rich region that federal geologists last year said has the potential to double the nation’s onshore oil and gas resources and sustain an energy boom. The Hobbs newspaper reports that New Mexico’s Lea County ranks third for U.S. oil production.